I know this because I got an e-mail saying my subscription has been taken for it. I have no idea what’s in this one as there doesn’t seem to be a slip in the previous package to tell me.. 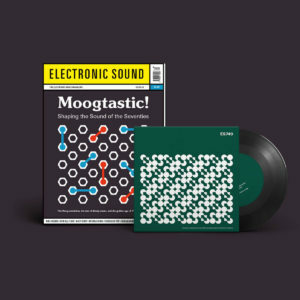 I did notice that there are still copies of Edition 51 (Deux Single) and Edition 50 (Karl Bartos single), both with and without the vinyl. 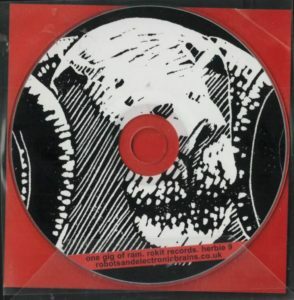 The Bartos one did sell out, but additional copies were printed)..
Get in quick if you want them.. 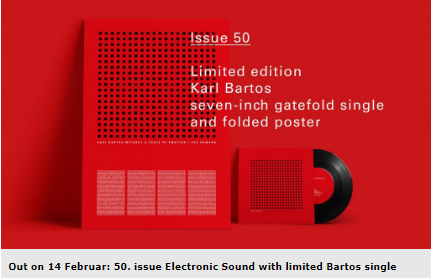 Heads up: Karl Bartos Vinyl with Electronic Sound issue 50! Yup. THAT Karl Bartos. Ex-Kraftwerk.Two tracks on 7" vinyl. Hopefully NOT stuff from "Communication", cos I’ve played that to death. I AM the message.. 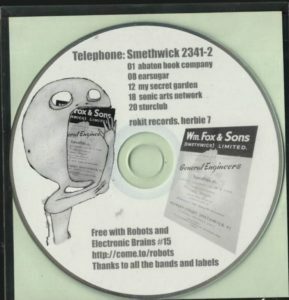 This will be in (almost) as much demand as the John Foxx vinyl with ES-48, so I’d advise you to get a subscription. I missed out on the "The Normal" single a few issues back and I am still kicking myself.. In our Moogtastic new issue we take a look at how Dr Bob’s famous early machines defined the sound of the 1970s. The tale of how Moog took hold in the States has been well told on our pages via the adventures of Paul Beaver and Bernie Krause, less known is the story of the British invasion. In our cover feature, we meet Mike Vickers, formerly of Manfred Mann, the proud owner of one of the first Moog IIIC’s to arrive on UK shores. Vickers was hired by The Beatles to help with the making of ‘Abbey Road’ following which the synth genie was well and truly out of the bottle. Elsewhere in our cover feature, we examine the influence of Moog and chart the under-the-radar connections that shaped the sound world of an entire generation. We take a trip from those first Moog adventures with Mike Vickers as our guide, we talk to KPM composers Alan Hawkshaw and Brian Bennett about the heyday of library music and discuss the lasting legacy of their work with Matt Berry who celebrates the classic TV theme tune. Elsewhere, we meet Sheffield’s rather excellent International Teachers Of Pop, who does what their name promises, we tell the unheard story of Scottish synthpop almost-rans Secession and catch up with the trailblazing Ultramarine as they prepare to release an excellent new album. More? You’ll find Stephen Mallinder telling us the tale behind Cabaret Voltaire’s epic ‘Nag Nag Nag’, Hacienda legend Graeme Park talks us through some of his favourite things in Under The Influence and we relive the birth of Pan Sonic in a Brixton backstreet club in the early 1990s in Time Machine. 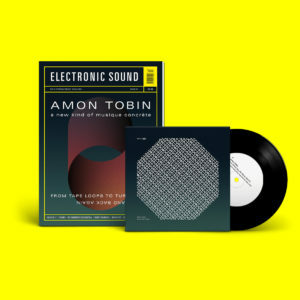 We start the year as we mean to go on by packing our Back section with reviews of the essential releases coming your way this month and filling up our Front section with all manner of synths, hi-fi, books, toys, gadgets and events that’ll have you wondering how we do it. How do we do it? That would be telling. 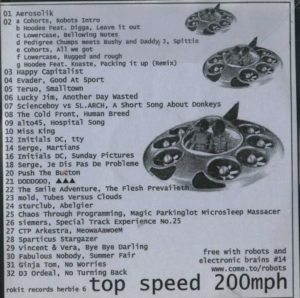 Taken from 1972’s ‘A Moog For All Reasons’ album recorded for the KPM music library, our limited edition seven-inch single features two tracks by Mike Vickers. Formerly of Manfred Mann, Vickers was transfixed by the idea of Robert Moog’s magical machines and, without even having been near one, ordered a monstrously pricey IIIc modular, figured out what it could do and quickly became the go-to producer for your more adventurous artistes, working with The Beatles on ‘Abbey Road’. And play around he most certainly did. On the two extraordinary KPM tracks featured on our seven-inch, Vickers really was able to let his imagination run riot with the Moog. Example? 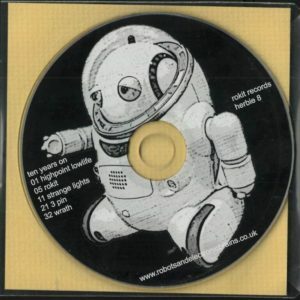 The lead track on our seven-inch is ‘The Adding Machine’, an intense five minute Moog workout. 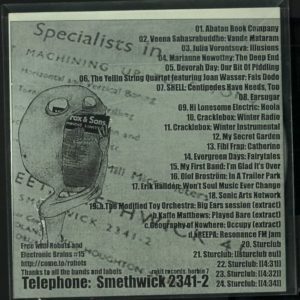 NerveJam Special offer: 3 tracks for free! It’s true. 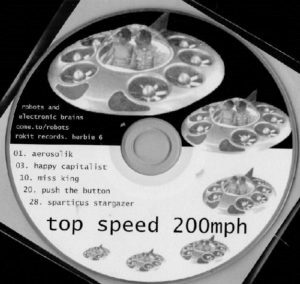 You can get three NerveJam tracks for free, via Bandcamp! I have set one track on each album as “Pay what you like”. These are “Edifice”, “Subliminal”, and “Croydon Library”. Go grab them, before I turn back into the Grinch. New John Foxx and the Maths Album! I haven’t heard this mentioned anywhere else and it’s certainly news to me. It’s about time, though, don’t you think? I wonder who the Maths actually are, now? 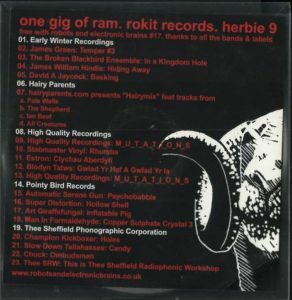 The original line-up consisted of Foxx, Hannah Peel, Robin Simon, Benge, Jean-Gabriel Becker, Jori Hulkkonen, Serafina Steer, Steve D’Agostino and Liam Hutton, but this was down to Foxx, Benge, and Hannah by the time of the later live shows. My guess is Foxx and Benge, but time will tell. Looking forward to this, unless it’s “Evidence part 2”. In which case I’ll give it a miss. 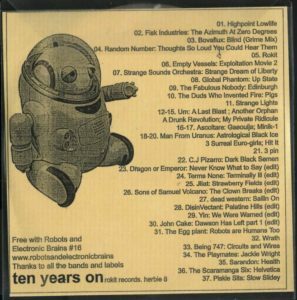 So there I was, on Amazon UK looking for Foxx and D’Agostino’s classic “Evidence of Time Travel” album.. which I found on the “Streaming” section.. and then it occurred to me.. I wonder if MY music is there? I always feel a bit iffy about searching for my own stuff online, but what the hell.. I gave it a go.. and.. YES. ALL my tracks are available to buy as digital downloads via Amazon UK..
Three albums worth. Note: I didn’t have anything to do with this, or the fact that all my stuff is also in YouTube.. It just happened!